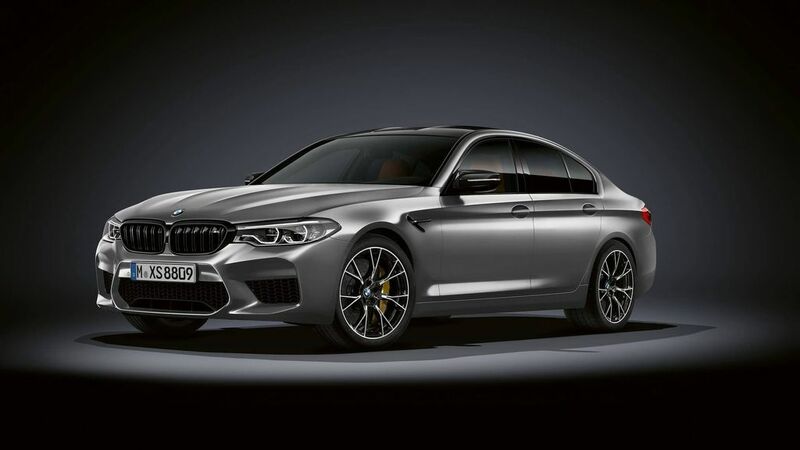 BMW India introduced the new M5 at the 2018 Auto Expo. The M5 is the performance version of 5 Series sedan. 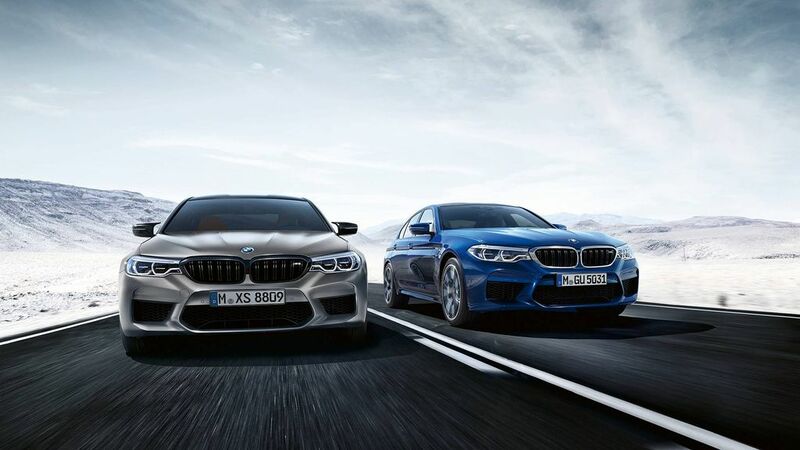 The Competition package cars from BMW comes with increased power and improved handling along with subtle exterior changes to make the car look even more sporty and aggressive than the regular M car. BMW is already going to launch M2 Competition by Diwali and now the company is going to introduce M5 Competition which made its debut earlier this month. 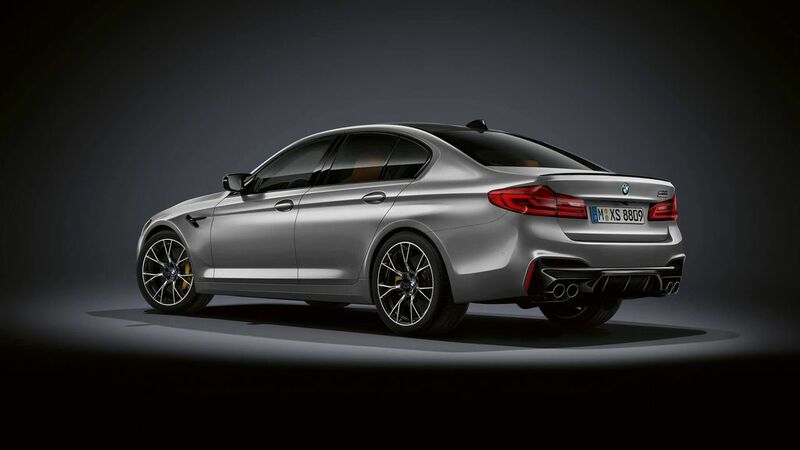 BMW M5 Competition is powered by same 4.4 L Bi-Turbo V8 engine producing 625 bhp of power which is 25 bhp more than the regular M5 and comes with 750 Nm of torque which is similar to the M5. This engine is mated to 8 speed M step tronic transmission with paddle shifter behind the steering wheel for manual shifting and BMW engineers have tuned the gearbox to handle the extra power from this engine. 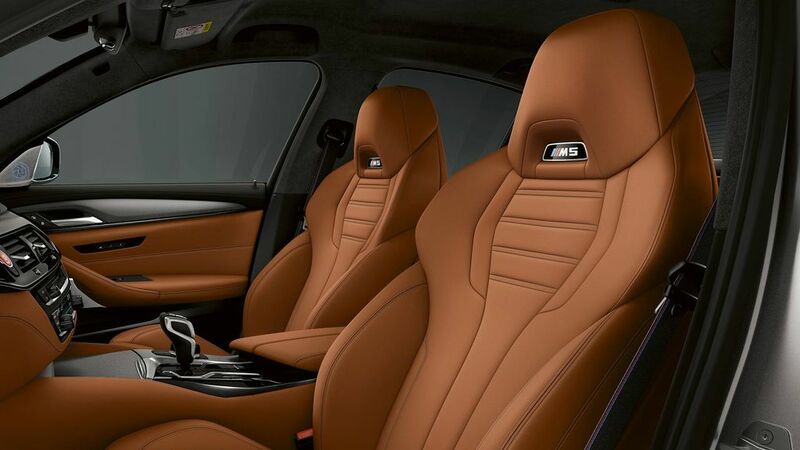 BMW offers three transmission modes – Efficient, Sport and new Ultra-High-Performance which can be activated using the driverlogic rocker switch on the gear selector. The performance numbers reveal that BMW M5 Competition is the most powerful and fastest sedan produced by the German manufacturer till date. 0-100 kph in 3.3 sec, 0-200 kph in 10.8 sec which is 0.3 sec quicker than M5. The M drivers package allow the M5 Competition to take the top speed to 304 kph which is electronically controlled and in future we can expect more powerful version which will take this top speed little further ahead. 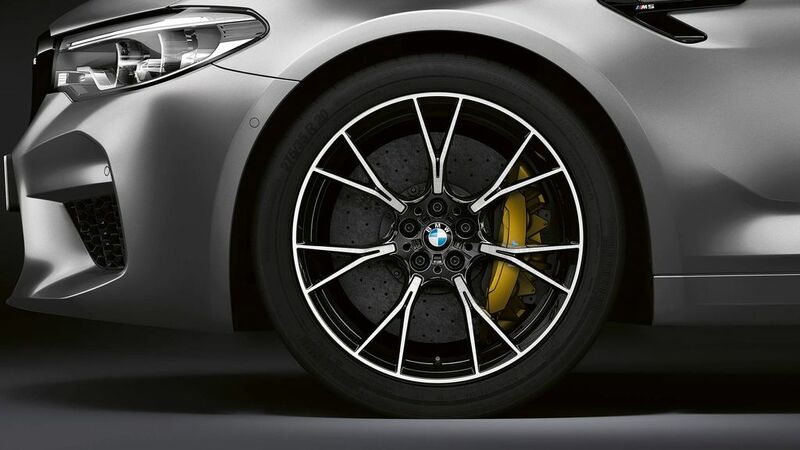 The stoping power comes from carbon ceramic brakes which is similar to the M5. 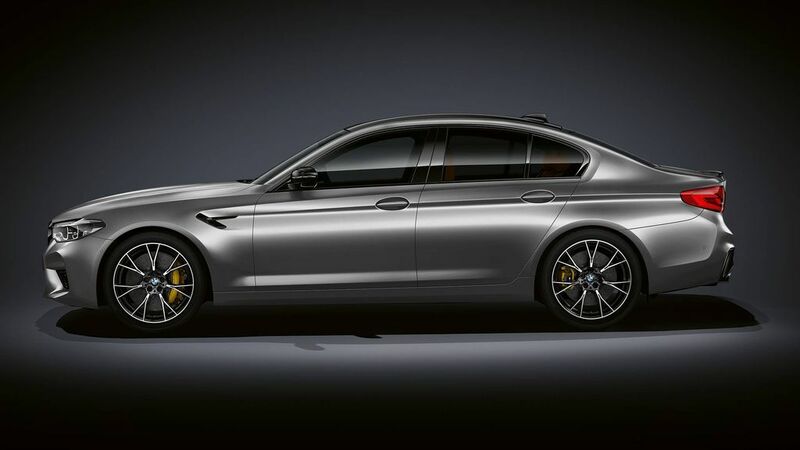 BMW M5 Competition comes with same M xDrive all wheel drive system which debuted in M5. BMW has given fully variable transfer case which can split power between front and rear wheels along with Active M Differential to split the power again between two rear wheels. The German manufacturer has also given the option to sent full power to rear wheels for all the fun which is a trademark of M5. The driver can also change exhaust note using M sound control button on the dashboard which will enhance the sporty exhaust note. The exterior changes on M5 Competition include new glossy black finish for the grille, bumper, door handle and mirror. 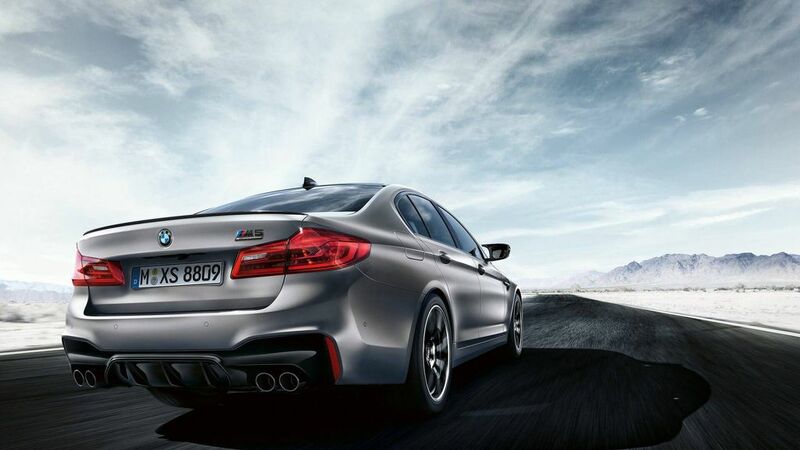 The black finish continues to the boot spoiler and M5 logo at the rear. The M5 Competition get special 20 inch light weight alloy wheels with Y spoke design and bi-colour finish. 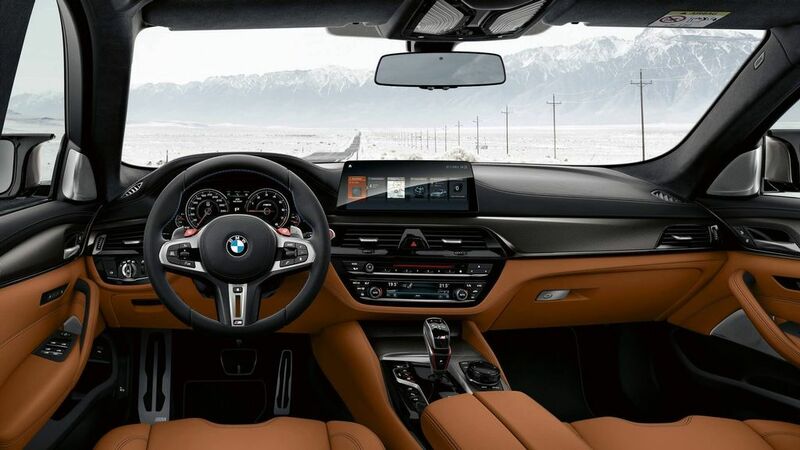 The interior changes are small as the new model gets M Competition welcome graphics on the instrument cluster along with black seat belts and floor mates with M5 logo. 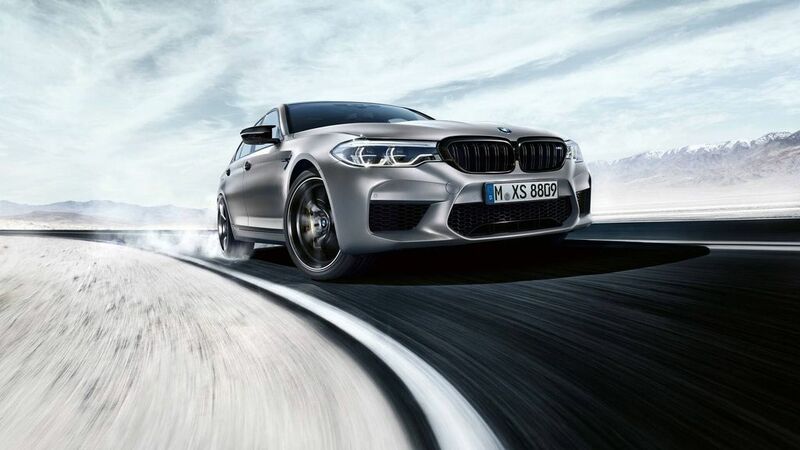 BMW will begin production of M5 Competition next month and it will compete head on against Mercedes-AMG E63 S in India.